The royals of the reality world and the royals of Kensington Palace took center stage this week. We not only found out that Kylie Jenner is reportedly pregnant, but we also witnessed the first event that Prince Harry and his girlfriend Meghan Markle attended together. 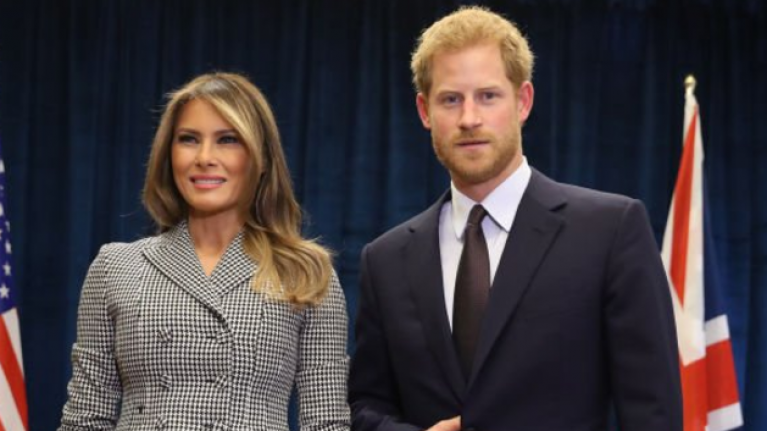 But, while Harry was away on business, which included a meeting with Melania Trump, people couldn't help but notice the prince's hand in the official pictures. He's making a horn sign. But the question is... why did Harry chose to place his hands like that in the official photos? According to Jezabel, photographers said that it wasn't just a random moment that the cameras caught him, but rather, he held his hand like that for quite some time while posing.